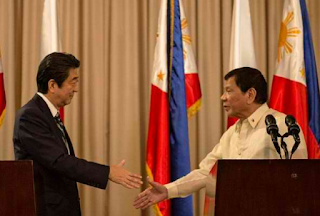 MANILA, Philippines – Japanese Prime Minister Shinzo Abe vowed to give the Philippines $8.66 billion (1 trillion yen) in aid, which would be spread over 5 years. 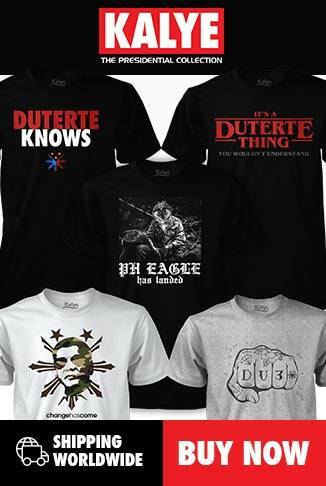 He himself announced this on Thursday, January 12, at Malacañang Palace, as he began his two-day official visit. "We will pledge business opportunities through ODA and private investments which will amount to 1 trillion yen for the next 5 years," Abe said in his press statement. Aside from this, Japan has also vowed to establish rehabilitation facilities to support Duterte's campaign against illegal drug use.